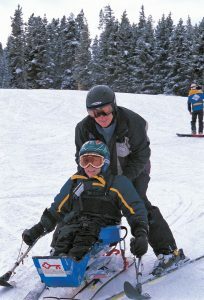 Adaptive Skiing removes the barriers between individuals with disabilities and one of America’s favorite family pastimes. As the winter season arrives, families around the globe prepare to head to their favorite slopes. For families in Dallas-Fort Worth, skiing is about more than just the ideal bonding opportunity for parents and their growing, technology-consumed kids. The white slopes also provide a much needed escape from the Lone Star heat. But what about families with less traditional situations, such as special needs children? Are they doomed to sit on the sidelines while their friends and loved ones enjoy the sights, speeds, and excitement of the race downhill? After all, skiing is known as one of the most physically demanding sports. Fortunately for families with special needs children, the U.S. has one more thing to thank its veterans for. While the roots of what is known as adaptive skiing reach back a bit before World War II, it was the efforts of Vietnam veterans that sparked widespread growth and interest in the concept which now enables nearly anyone to experience the thrills of snow sports. Originally intended to help injured military members, who may have lost limbs or vision, adaptive skiing has grown into a celebrated Paralympic sport. Still, those not looking for a pathway to the Olympics have benefited too, as resorts around the country host lessons and a variety of other opportunities for individuals who would not otherwise be able to ski. Through the use of specialized equipment, adaptive skiing removes the barriers between individuals with disabilities and one of America’s favorite family pastimes. As it sounds, adaptive skiing, adapts to each person’s need level, allowing the blind, deaf, intellectually disabled, autistic, and even quadriplegic to embrace the same traditions on the slopes as their families. Different types of equipment cater to a wide range of disabilities. For example, mono or bi-skiing, also known as sit skiing, frequently works best for those with amputations or spinal injuries/disorders. Individuals who sit ski should have significant upper body strength or accommodations can be made to attach an instructor or a guide. Alternatively, there are adapted forms of stand up skiing, two, three, and four track. Two-track skiing is similar to traditional skiing with the addition of a variety of supplemental devices as necessary and works best with individuals using prosthetics or who have epilepsy, a spectrum disorder, or mild cerebral palsy. Three-track adds a third handheld outrigger to the mix, helping individuals with single limb weakness and above the knee amputees. Lastly, utilizing four points of snow contact, four-track skiing aids people with lateral stability issues. Worldwide, families will find resorts and ski schools eager to employ these methods to adapt to individual needs. As nearby as New Mexico, from coast to coast, and to the mountaintops of Europe, special needs skiing is viewed as an opportunity to share a passion for the sport with more individuals, and it is a welcome challenge in creativity and design. Good Family Life has profiled a few of these welcoming resorts in the closest proximity to North Texas. Highlights: Keystone Resort serves as headquarters for Keystone Adaptive Center and provides high-quality instruction in all disciplines of adaptive skiing and snowboarding (four-track, visually impaired, three-track, autism, learning delays, mono-skiing, and bi-skiing), one-on-one instruction, full and half-day lessons, and specialized equipment. 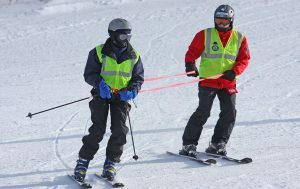 Beaver Run Resort, also in Breckenridge, hosts the annual Hartford Ski Spectacular, one of the nation’s largest sports festivals for people with disabilities and individuals who strive to become Paralympians. 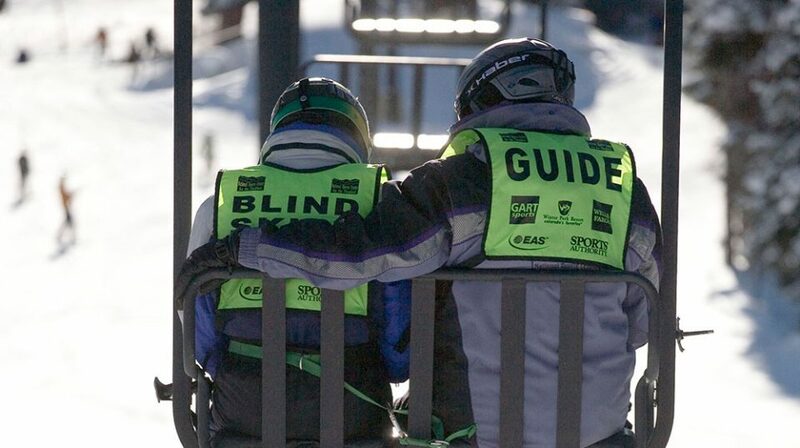 Highlights: Widely recognized for its adaptive ski program for both children and adults, it accommodates either mono or bi-ski, half or full-day lessons, discounted season passes for disabled individuals, and personnel with extensive experience with amputations and severe visual impairment. Highlights: Offers programs for any child or adult with autism, regardless of where they are on the spectrum, five-day camps with instructors trained by autism experts, mainstream group lessons with private instructors and private lessons, and the facility encompasses 3,332 acres with 2.3 million acres of national forest in the background. Highlights: Lessons available to disabled children and adults 5 years and older, instruction available in 2, 3, and 4 track skiing, mono and bi-ski, snowboarding, assistance for blind and deaf individuals, services for intellectual impairments, PTSD, brain injury, critical illness and more. Embrace! was created to provide information and human interest articles to help families with differently-abled children. Whether your child has ADHD, Autism, Down syndrome or any other special need that qualifies him or her for programs in public schools, we will be researching and covering important, educational and inspiring content that addresses a wide variety of issues. Embrace! is generously sponsored in part by Ilana and Semyon Narasov.